Docklands Private Collection is the brainchild of Lyn and Peter Kelly of Melbourne. 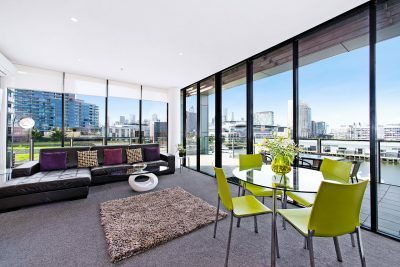 Long before it was fashionable to stay in serviced apartments they created a network of apartments in Docklands, Melbourne. Peter and Lyn are avid travellers throughout Australia and around the globe. They were so ahead of their time Docklands had only a few buildings and now it is a major destination within Melbourne. They soon realized that for their own wellbeing they wanted to stay in serviced apartments so that they could cook for themselves if they wanted, dine with friends in private surroundings and enjoy the feeling of luxury apartment accommodation. Lyn willing to share her local insider knowledge on where to shop, eat and play in and around Docklands and Melbourne. Lyn is a passionate Melbourne girl born and bred. Lyn and Peter offer Free Wifi, inexpensive secure parking and apartments in all price ranges. By staying at one of the Docklands Private Collection of Apartments you will be helping charities as Lyn and Peter personally donate earnings from their business to 'The Pancare Foundation', 'The Alannah and Madeline Foundation' and 'The MND Research Institute of Australia'. 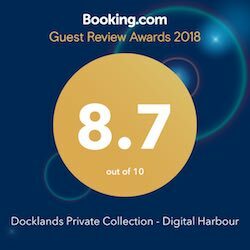 We welcome you to visit and stay at Docklands Private Collection and let us take the hassle out of your travels in and around Docklands and Melbourne. You can view our prices & availability here and book online for Executive Apartments at NewQuay or Value Apartments at Digital Harbour. You will receive confirmation within 12 hours. 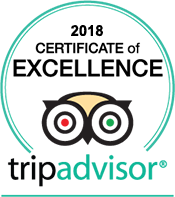 We will only take the cost of 1 night from your credit card with the balance due at check in. Full confirmation will be sent to you with directions of how to check-in etc. If you make a mistake do not concern yourself just send an email to advise that. The deposit taken will be fully refunded if cancellation is made more than 7 days prior to arrival.